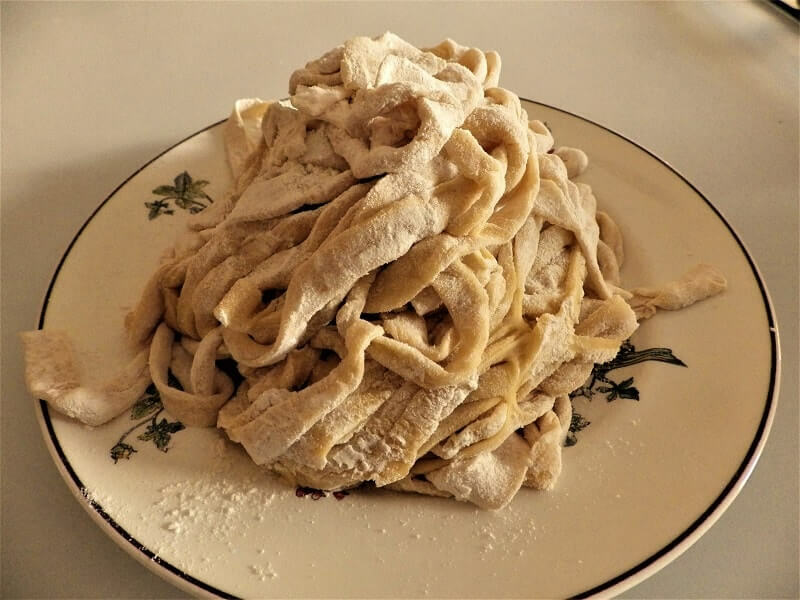 Many bread machines have a pasta dough setting. You can use this setting to make a variety of pastas including Fettuccine. 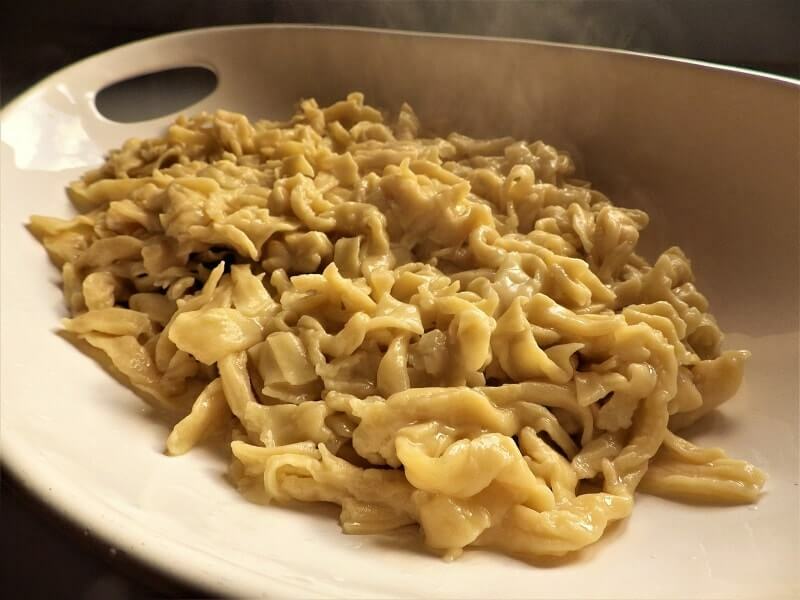 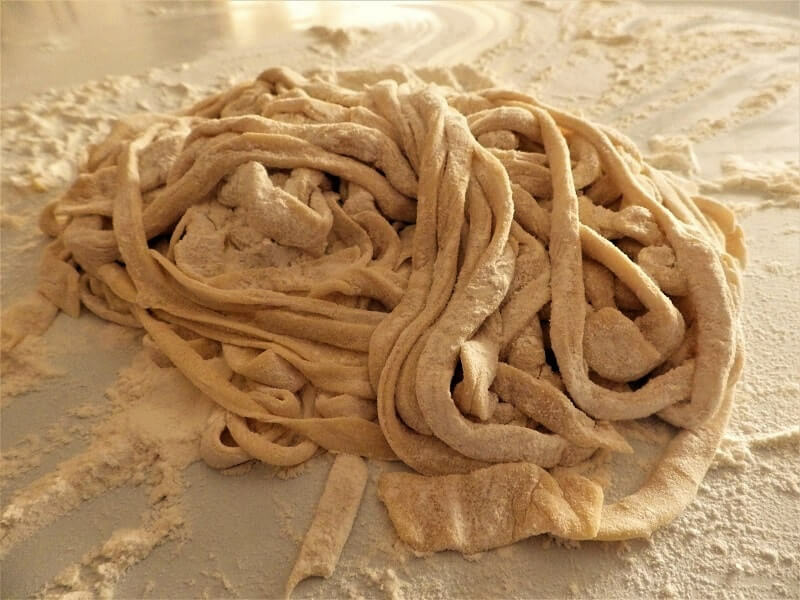 We’re going to cover the basic Fettuccine recipe including some of the steps involved in actually rolling out and cutting the Fettuccine noodles. 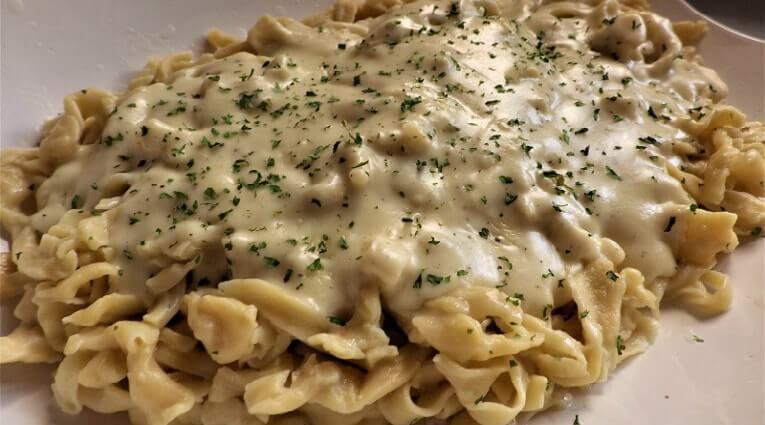 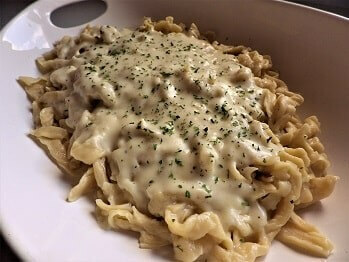 We’ll also cover a basic Alfredo sauce so you can make a classic Fettuccine Alfredo. If your bread machine doesn’t have a pasta dough setting look and see if it has a pizza dough setting. You’ll get the same result. 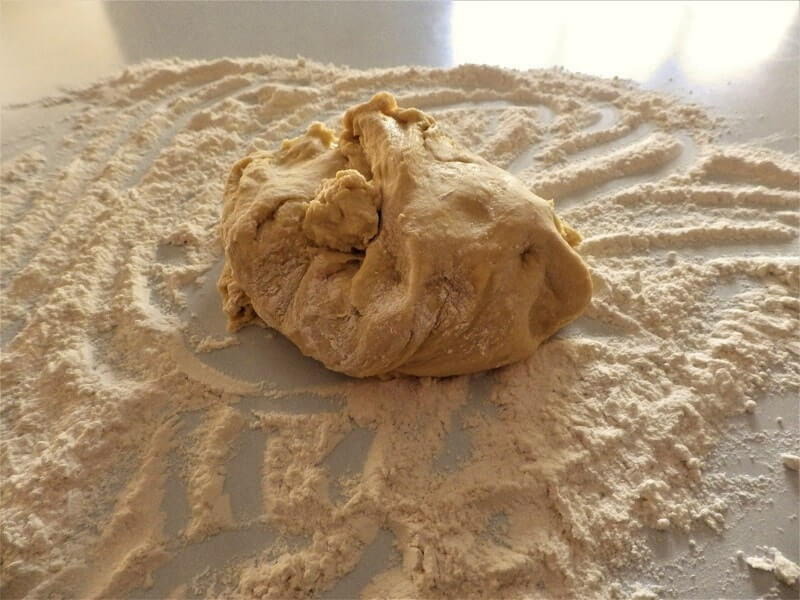 You could also try the basic dough setting but make sure you take the dough out before the rising cycle on the dough setting begins. 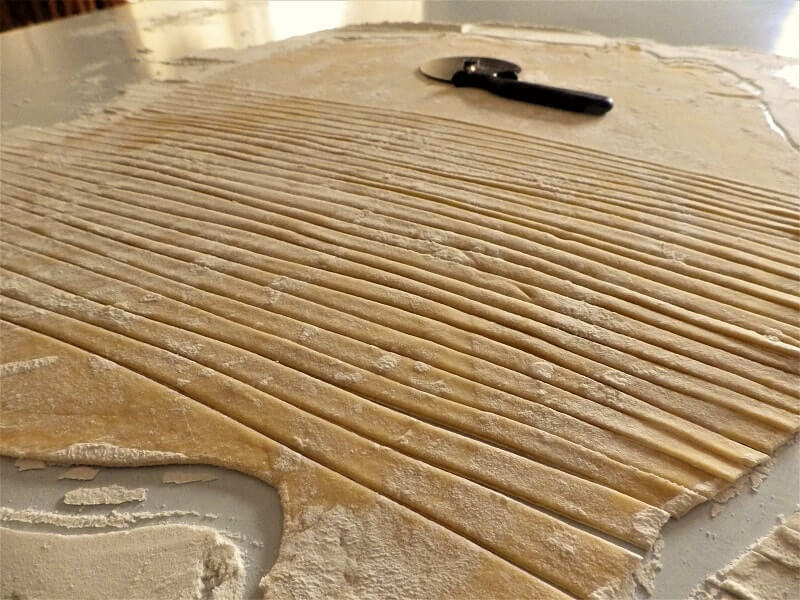 There’s no yeast in pasta dough so there’s no need for the rising cycle. 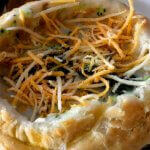 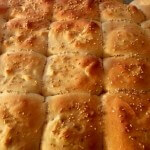 3/4 cup + 1 tablespoon water 80° F./27° C.
Put all the ingredients in your bread machine and select pasta dough course. When done roll out as thinly as possible with a rolling pin on a floured surface. 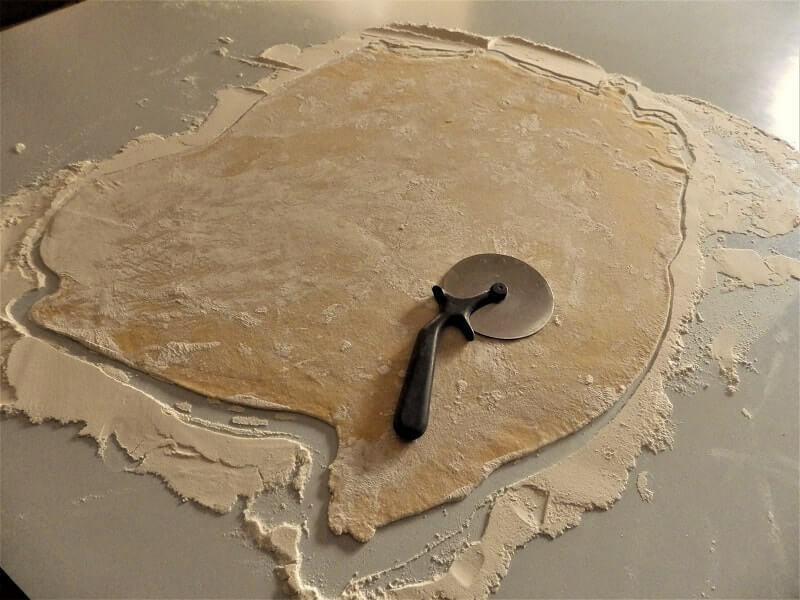 Slice into 1/4 inch to 1/8 inch thin strips with a large knife or a pizza wheel. Either hang and dry or reserve for immediate use. 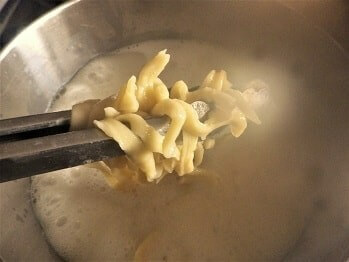 Boil fettuccine in 2 quarts of boiling salted water until cooked. 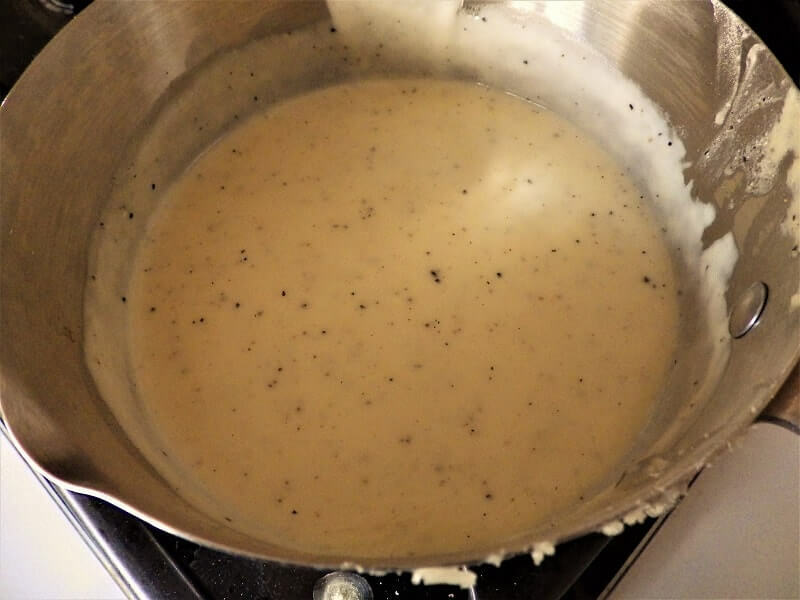 Heat the Alfredo sauce ingredients in a sauce pan to a light boil except Parmesan cheese. 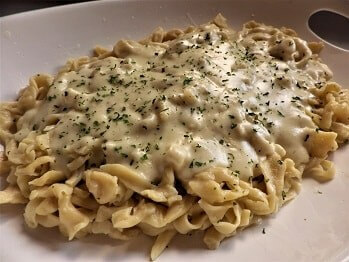 Toss fettuccine in cream sauce and add Parmesan and continue to toss. 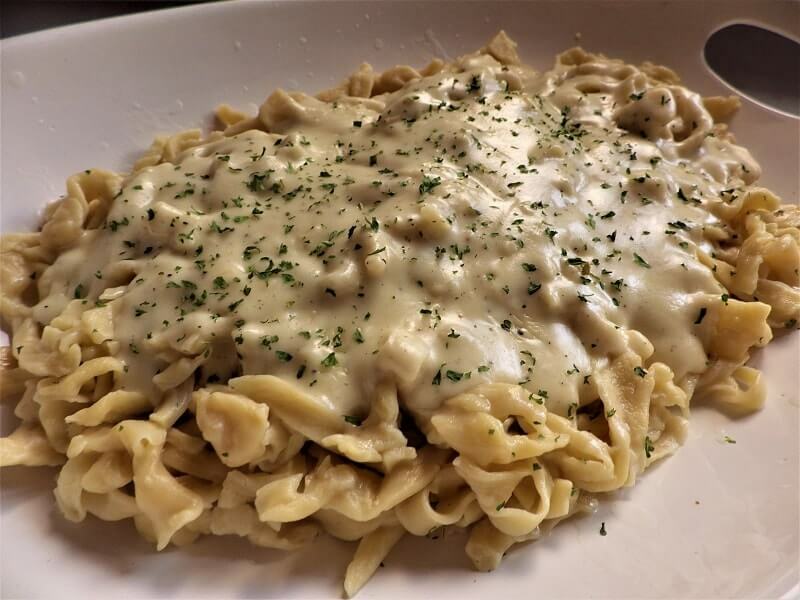 Serve.